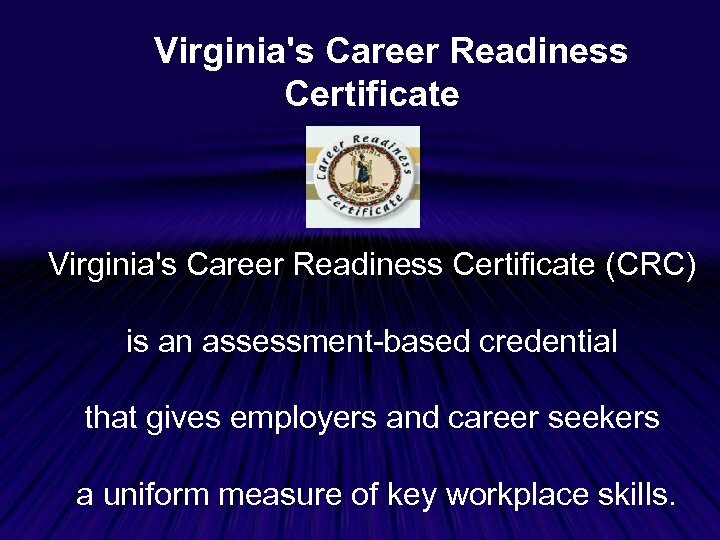 Virginia's Career Readiness Certificate (CRC) is an assessment-based credential that gives employers and career seekers a uniform measure of key workplace skills. 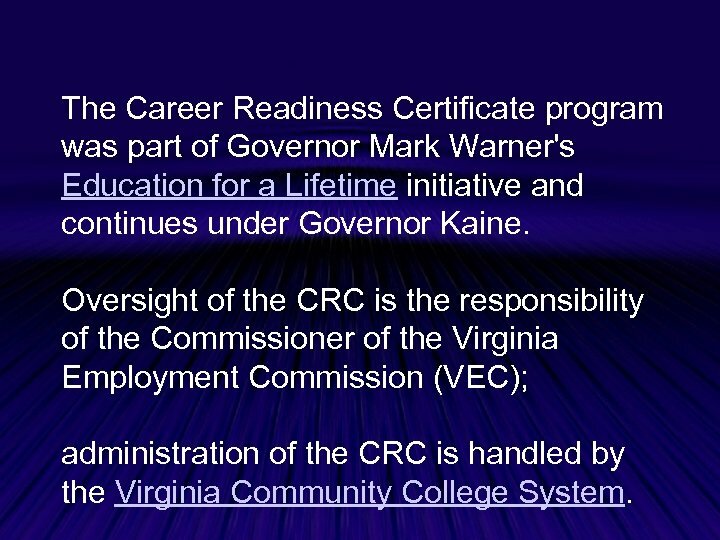 The Career Readiness Certificate program was part of Governor Mark Warner's Education for a Lifetime initiative and continues under Governor Kaine. 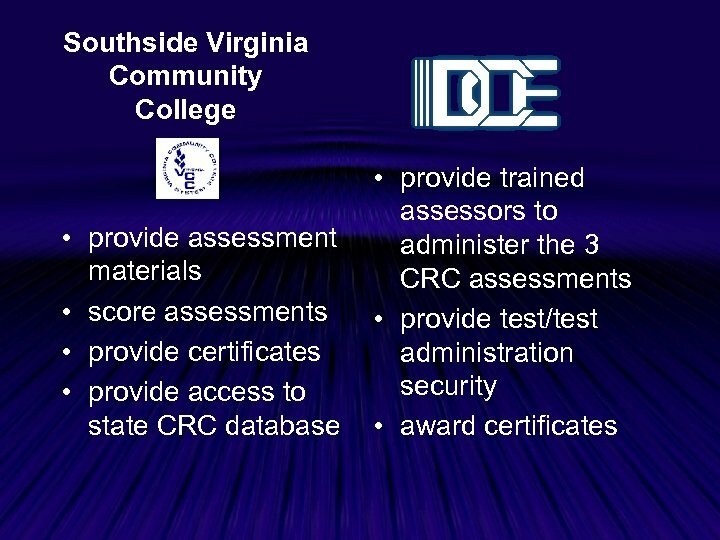 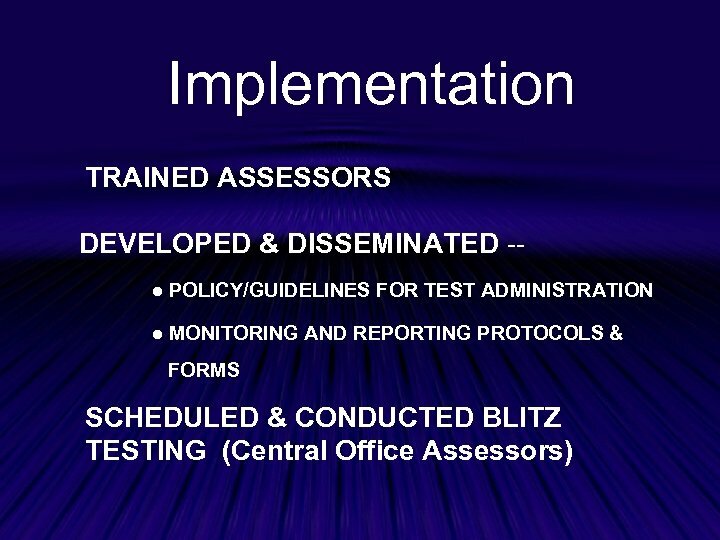 Oversight of the CRC is the responsibility of the Commissioner of the Virginia Employment Commission (VEC); administration of the CRC is handled by the Virginia Community College System. 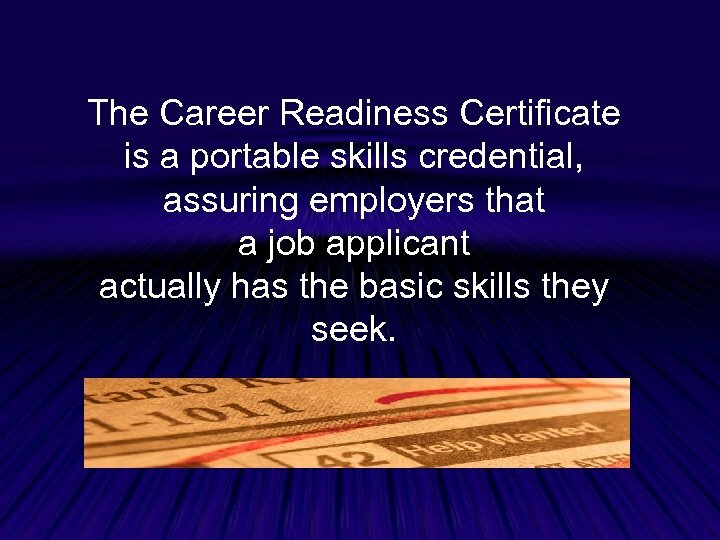 The Career Readiness Certificate is a portable skills credential, assuring employers that a job applicant actually has the basic skills they seek. 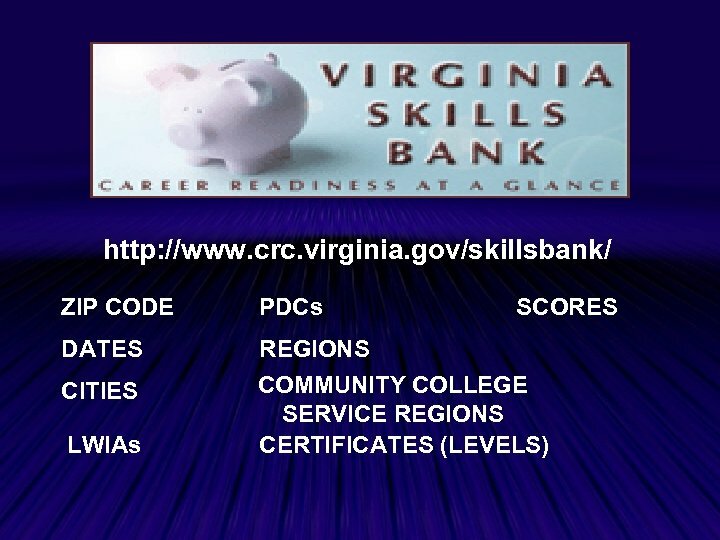 Virginia's Career Readiness Certificate helps employers by certifying that a recipient possesses core skills in applied math, reading for information, and locating information — skills that are required by at least 85% of all jobs profiled by ACT Workkeys in the country. 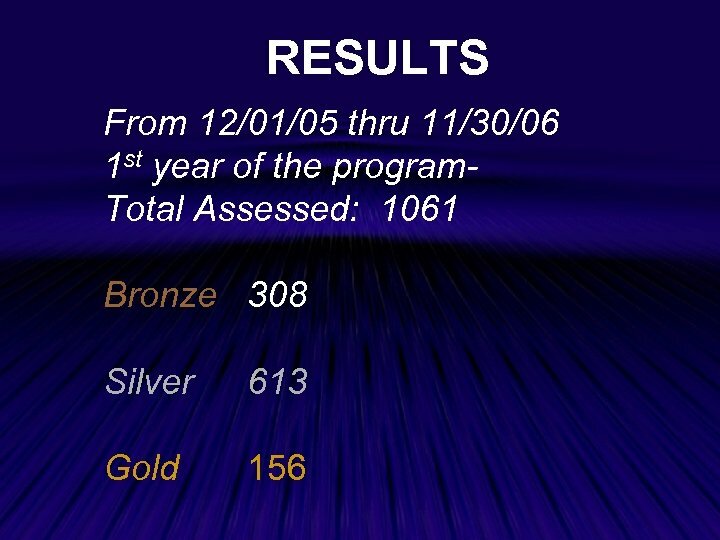 Virginia’s Career Readiness Certificate 3 Levels Bronze core employability skills for approximately 30% of available jobs Silver approximately 65% Gold approximately 85%. 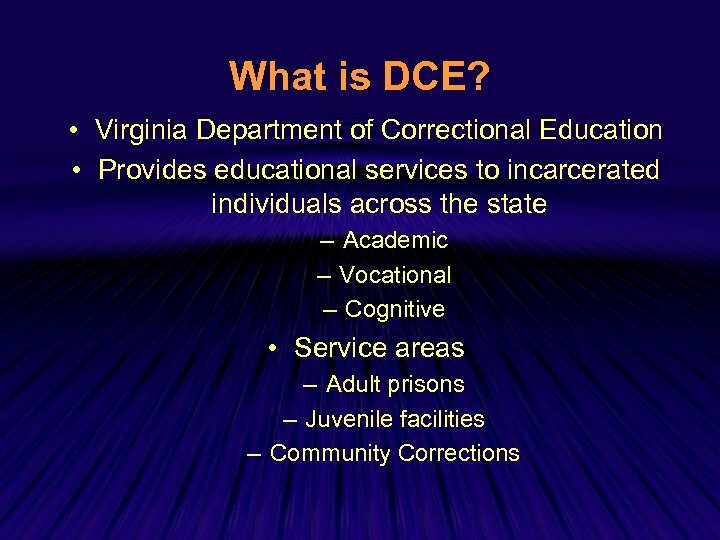 w Why the CRC FOR DCE? 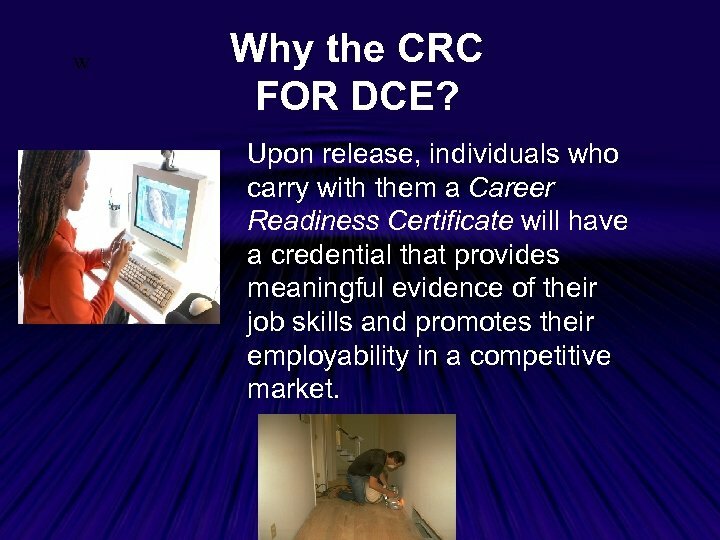 Upon release, individuals who carry with them a Career Readiness Certificate will have a credential that provides meaningful evidence of their job skills and promotes their employability in a competitive market. 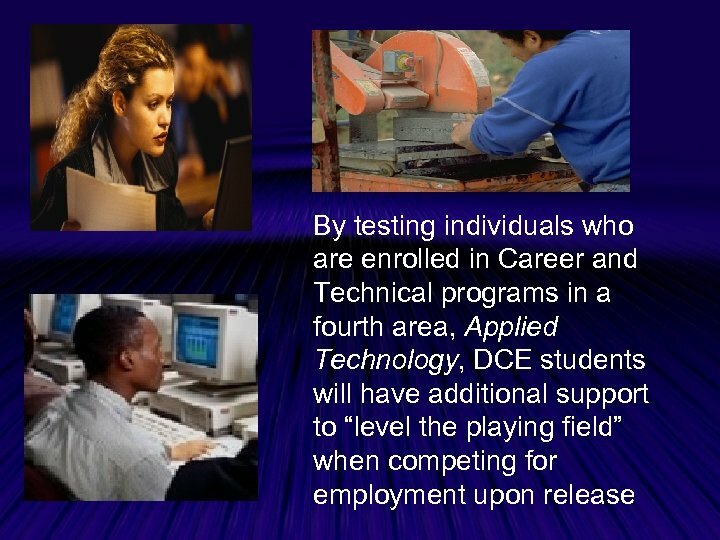 Over 5, 200 Virginia workers have earned their CRCs in the last three years DCE has added over 1000 to that figure within the past year! 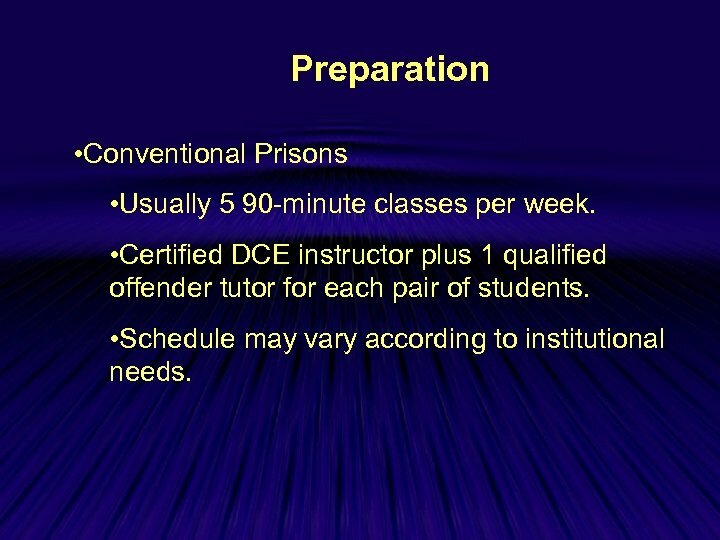 Preparation • Conventional Prisons • Usually 5 90 -minute classes per week. 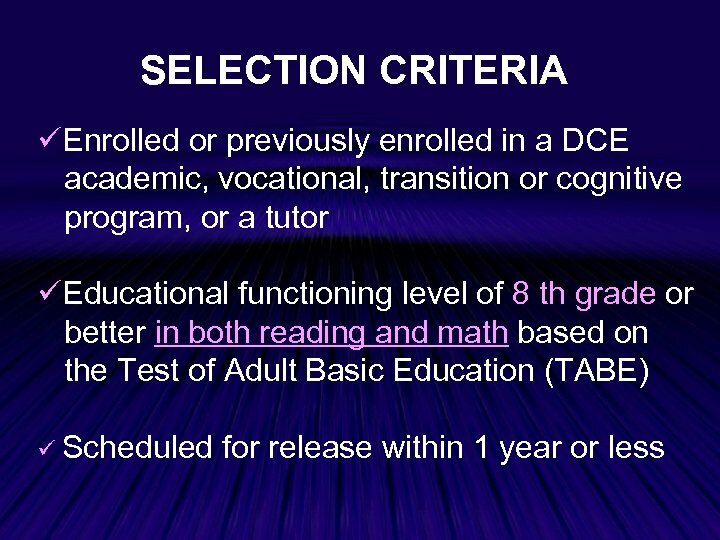 • Certified DCE instructor plus 1 qualified offender tutor for each pair of students. 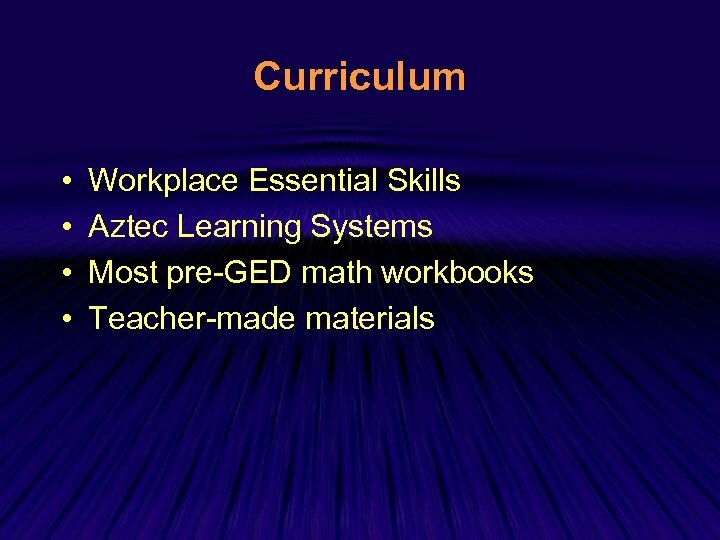 • Schedule may vary according to institutional needs.